“Trump pardoning Arpaio would be an official presidential endorsement of racism,” says the ACLU. The people of Phoenix, Arizona are mobilizing ahead of President Donald Trump’s visit to the city on Tuesday—a week after he defended white supremacists—amid speculation over whether he will announce at the rally a presidential pardon for Joe Arpaio, the notorious former sheriff of Maricopa County. Trump told Fox News last week that he is “seriously considering a pardon” for 85-year-old Arpaio, who was convicted last month by a federal judge of criminal contempt for violating a 2011 court order requiring him to stop racially profiling Latinos with traffic stops and detentions. ‘America’s toughest sheriff’ forced his inmates to wear pink underwear, shower with pink towels, and sleep on pink sheets. Their meals were meatless and their jumpsuits striped in wide black and white. The only barrier between their bodies and the scorching summer sun was the weathered green canvas of surplus Korean War military tents. In a petition that describes Arpaio “a criminal,” the ACLU is urging supporters to call on the White House reject the possibility of a pardon. 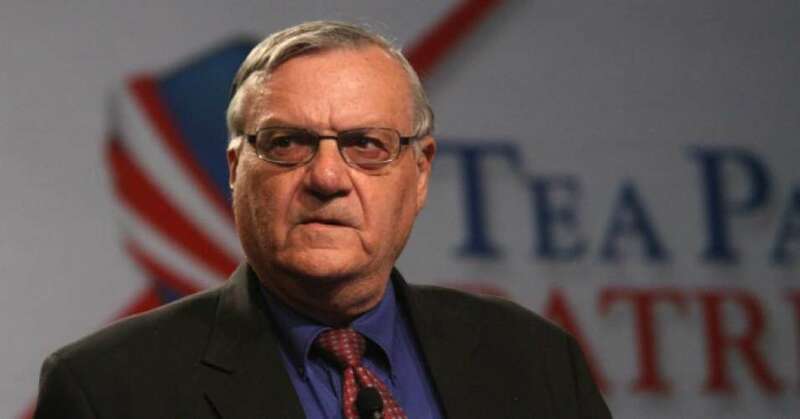 Federal prosecutors secured a criminal contempt conviction against Arpaio after it was proven his office profiled and illegally detained Latinos, violating their constitutional rights. A pardon by Trump would absolve Arpaio’s flagrant violation of federal court orders and his racism and bigotry. Phoenix Mayor Greg Stanton similarly cautioned against a pardon and further urged Trump not come to Phoenix at all. Arpaio, for his part, said last week that he’d be “honored ” to receive a pardon from Trump.